6.3 earthquake hits Mindanao in the Philippines. 5.6 earthquake hits Yunnan, China. 5.0 earthquake hits the Balleny Islands. In the Atlantic Ocean: Tropical Storm Florence is located about 840 mi…1350 km se of Bermuda and about 720 mi…1155 km ne of the northern Leeward islands with maximum sustained winds…65 mph…100 km/h. Present movement…w or 265 degrees at 9 mph…14 km/h. Tropical Storm Helene is located about 290 mi…465 km ese of the southernmost Cabo Verde islands with maximum sustained winds…45 mph…75 km/h present movement…w or 275 degrees at 13 mph…20 km/h. Remnants of Gordon are located about 100 mi…161 km w of Jonesboro, Arkansas with maximum sustained winds…10 mph…20 km/h. Present movement…nne or 30 degrees at 8 mph…13 km/h. Tropical Depression Nine is located about 1720 mi…2765 km e of the Windward islands with maximum sustained winds…35 mph…55 km/h. Present movement…wnw or 300 degrees at 5 mph…7 km/h. In the Eastern Pacific Ocean: Hurricane Olivia is located about 1200 mi…1930 km e of Hilo Hawaii and about 1370 mi…2205 km e of Honolulu Hawaii with maximum sustained winds…90 mph…150 km/h. Present movement…wnw or 285 degrees at 15 mph…24 km/h. In the Western Pacific Ocean: Tropical storm 26w (Mangkhut), located approximately 926 nm east of Andersen AFB, is tracking west-northwestward at 16 knots. In the Central Pacific Ocean: Tropical Storm Norman is located about 405 mi…650 km ne of Honolulu Hawaii and about 420 mi…675 km nne of Hilo Hawaii with maximum sustained winds…65 mph…100 km/h. Present movement…nnw or 335 degrees at 9 mph…15 km/h. Malaysia – Traffic gridlock was reported in various parts of the island today following heavy downpour which triggered floods. More than 20 houses in Hong Seng Estate, here, was in chest-deep water, forcing occupants to flee. They blamed the flooding on poor drainage. Over the last century, the river’s flow has declined by around 16 percent, even as annual precipitation slightly increased in the Upper Colorado River Basin — a vast region stretching from Wyoming to New Mexico. 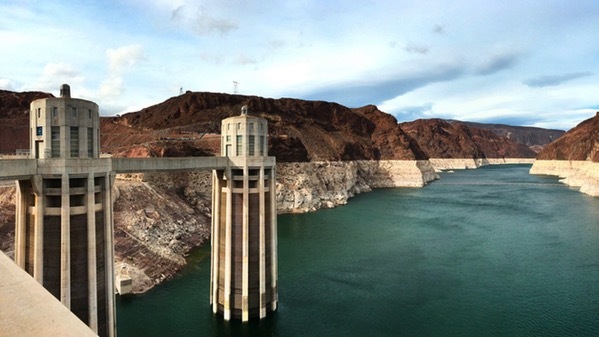 New research published in the journal Water Resources Research argues that over half of this decline is due to sustained and rising temperatures in the region, which ultimately means more water is evaporated from the river, diminishing the flow. 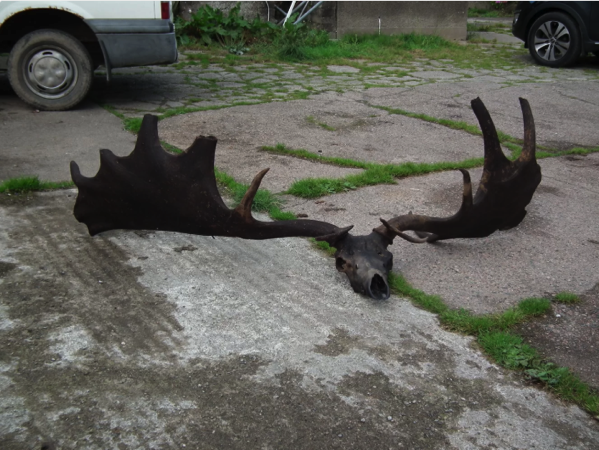 Fishermen in Northern Ireland pulled in the catch of a lifetime on Wednesday (Sept. 5), when they caught an enormous Irish elk skull that’s estimated to be more than 10,500 years old. The impressive specimen is about 6 feet (1.8 meters) across and is almost fully intact. Irish elk (Megaloceros giganteus) have been extinct for more than 10,000 years, and were one of the largest deer species to ever roam the Earth. The Delta Fire grew overnight to 24,000 acres in total with no containment in sight. A roughly 45-mile stretch of I-5, the state’s main trucking route, and a vital link between California and Oregon, will remain closed throughout the weekend. Following the confirmation of a case of yellow fever in Bissongo, an investigation was conducted in the affected area. A retrospective search in 16 health centre registers in Pointe-Noire found 69 additional suspected cases during 2018 which meet the clinical case definition for yellow fever. A yellow fever outbreak was declared on 22 August 2018. A cholera outbreak in Ethiopia’s northern Tigray region has reportedly been blamed on holy water, after at least 10 people died over the past two weeks, while more than 1 200 people have contracted the disease. The authorities have identified contaminated holy water in some of the region’s monasteries as being behind the outbreak. It is believed that the water is being taken from rivers that carry the disease. Interfering in religious affairs is a very sensitive matter in the region, but the local government is working with religious leaders to temporarily stop the use of holy water, said the report.